Upon our retirement from teaching in 1987, we realized the need for a financial advisor. After interviewing several eager prospects, my wife and I were impressed by the prompt and personal service of RBA Financial. Twenty years later our financial affairs regarding investment strategies, consulting on the mix and blend of mutual funds, have proven satisfying. We are pleased to be able to say we are able to enjoy a comfortable lifestyle, travelling whenever we choose without worries about the costs. Eight grandchildren have each been provided with scholarship funds if and when they choose to attend post-secondary education. RBA guided us in this plan. Thank you for your availability, steady advice and excellent personal service over the past number of years. 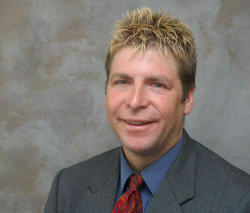 Todd Campbell has been our financial advisor for several years. We have always found him to be courteous, knowledgeable, well-prepared and thorough. He looks for innovative strategies to improve the returns on our investments and minimize our tax obligations. At the same time, Todd is responsive to our needs and provides investment advice that is consistent with our values and concerns. The staff at Partners in Planning are friendly, highly competent and well-organized, and together they attend to our business efficiently and personably. Financial advisers are like auto mechanics – when you find one that you can trust you want to recommend them to your family and friends. Todd Campbell and his associates at RBA Financial fit that description. We came to RBA Financial after the market collapse of 2000/2001 with a portfolio teetering on the brink of bankruptcy. Through prudent and responsible guidance, Todd has brought steady growth to our investments and put comfortable retirement back into our future plans. Any questions or concerns that we have are always immediately addressed and answered. We would not hesitate to recommend the RBA Financial team for investment advice.